Spring Football started this week, and that’s great. However, I wouldn’t say that we’ve gotten anything like Real News just yet. Still, AFF had a busy week with the release of our First Look at the 2019 schedule and a new podcast, though a good bit of that stuff falls into what we on the podcast we called Irresponsible Speculation. That’s our favorite kind, obviously, but it’s no substitute for actual college football, which unfortunately still seems a very long way off. Available on iTunes, Overcast, Stitcher, etc. If you’re not listening to the podcast, folks, we need you to subscribe. We’re trying to grow a business here, so this is legitimately important. Personally, I think the best way to listen to any podcast is via the Overcast app. Overcast has a Smart Speed feature that automatically cuts pauses and dead air, generally speeding playback by about 1.25x without actually changing the speed of the recording. We’re all busy, I get that. Overcast helps. Plus, Overcast lets you dial in playback speed, so if you’re like me and prefer a slightly faster playback, you can listen at about 1.5x speed without having to pay undue attention to what’s being said. That’s key. If you’re already a podcast subscriber, do us a favor and write a review. iTunes has the biggest reach, but any review is important. Those reviews greatly affect how often our podcast shows up in other folks’ searches, which is critically important as we try to grow our audience. Help us grow. That’s the help we need. Freshman Clay Czyzynski is a wild card. Czyzynski impressed as a scout-team quarterback last season. I would’ve put my money on Mbony or Czyzynski, but beat writer Sal Interdonato reports that he ran with the fullbacks yesterday. Army & BYU each can secure its own automatic bowl tie-in, but the remaining independents (Liberty, UMass and New Mexico State) must hope for an at-large spot from a conference that can’t fill all of its allotments in a specific year. Notre Dame remains part of the ACC’s bowl lineup if the Irish don’t qualify for a College Football Playoff or New Year’s 6 Bowl berth. This is obviously good news, and it’s interesting because it puts Army on even-footing nationally with BYU, a program that I think most observers tend to associate more with the Power 5 than the Group of 5. The article doesn’t get into bowl tie-in specifics, unfortunately, but given Army’s ratings and ticket sales over the past three years, it wouldn’t surprise me to learn that the Armed Forces Bowl went ahead and put a ring on it. I got the sense last year that they very much wanted to lock Army up long-term. The Lambert trophy is apparently the second-largest trophy in all of college football. 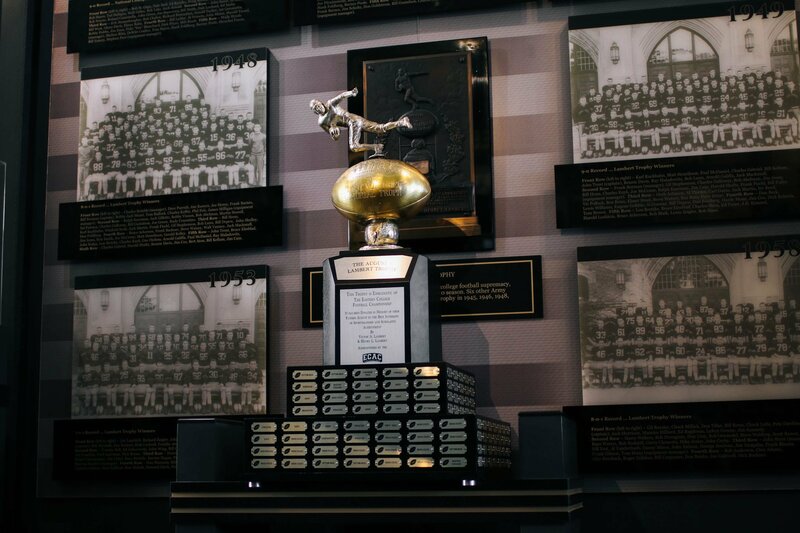 Army also has the largest–the Commander-in-Chief’s trophy. That’s pretty cool. Let’s start with the Women this week. They hosted Monmouth this past Saturday in what turned out to be their toughest test to date by far. Get back home and see that the Army Women have completed the greatest comeback in Army Lacrosse history! They went on a seven-goal run to close the game, winning by a final score of 15-14. Amazing! Meanwhile, the Men hosted Lafayette in a game that was reminiscent of the one they played a few weeks ago against Marist. I watched all of this one. Army dominated from start to finish. They were especially good on defense, but they produced on offense as well, and that’s a welcome change. The biggest difference I’ve noticed this year versus last is that the Black Knights have more quality shooters in 2019, so they’re not as reliant on just a few key guys. With Brendan Nichtern, Matt Manown, and Nate Jones all putting high-quality shots on cage, Lafayette just didn’t have enough legit defenders to guard everyone, and Army smothered the Leopards relentlessly as a result. 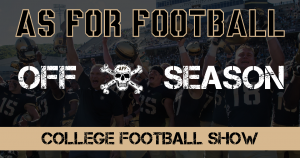 Army travels to Lehigh next week in what promises to be a tough defensive battle. If the Black Knights can get another convincing win in conference, watch out! This team looks like it could really do something. I’m keeping an eye on Baseball, but until they get into Patriot League play, we’re basically just tuning up for the season. I seem to be the only man on Earth who believes in UTSA, and even just based on the write-up, I think these guys have Hawaii too low. The Rainbows won eight games last year with one senior on defense and one on offense, and for the first half of the season, they vaporized almost everyone. Oh by the way, they also had arguably the most explosive passing attack in the country. Granted, they won’t replace WR John Ursua with some random Next Man Up, but come on. This is a team with a ton of upside. Hawaii vs. Tulane, who you got? I’d make that game a pick’em. 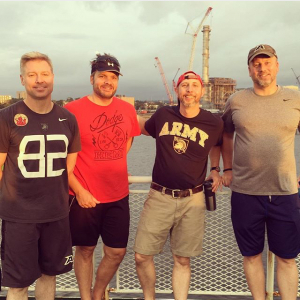 This week’s column is brought to you by Saint Vincent’s Hospital’s annual Swim Across the Sound and especially by Team RBG 2.0. Last year, Team RBG (“Rock the Black & Gold”) raised almost $12K to fight cancer in and around New Haven Connecticut. This year, we’re hoping to do even better. Team RBG raised $12K to fight cancer. 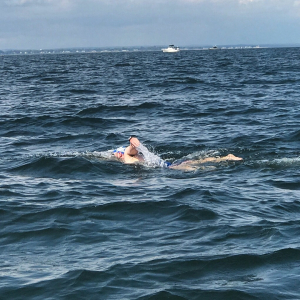 The Swim Across the Sound is a marathon charity swim that starts in Port Jefferson, NY, and finishes more than fifteen miles distant at Captain’s Cove in Bridgeport, CT. Teams of between four to six swimmers rotate through thirty-minute swimming legs, starting at the beach just off Port Jeff and finishing all the way across the Sound in Connecticut. Each team is assigned a boat, and each swimmer winds up swimming four to five legs, depending on tides and currents. It looks like we’re gonna have the tide against us this year, so this year’s event should be an incredibly hard slog! Folks, we need your help to fight cancer. The Swim Across the Sound supports Saint Vincent’s Hospital’s Cancer Center. The Center provides some money for research, but mostly they provide outreach to the local community for cancer screenings as well as emotional and financial support for families going through the excruciatingly debilitating process of cancer treatment. I got involved initially simply because one of the local teams was looking for a ringer, but I’ve stayed involved because cancer charities are very near to my heart. This will be my fourth year as a participant. Not to put too fine a point on it, but cancer killed my family. I became the family patriarch at thirty-five largely because of cancer. It killed my mother, my grandfather, both my grandmothers, and my aunt and my uncle. Hell, even my dad got prostate cancer, though he happened to survive. Regardless, the only family I have left on this Earth are my wife, my kids, and my classmates, and that’s thanks to cancer. Swimming across the Sound two years ago. If you’re reading this, I know you can help. We’re trying to raise $7500 before August 3rd, and if you give, you get the satisfaction of knowing that I may very well get eaten by a shark. If that happens, we’ll make sure to get some pictures of it and post them to the Instagram account. We’ll get plenty of resolution, I promise. “What Ernie did for the Giants, it would be a dream for me to do the same thing,” [Giants’ GM Dave] Gettleman said Wednesday. “I would love to drop a franchise quarterback in this place, then watch him from Cape Cod and enjoy the hell out of him. I just don’t know, folks. I mean, yeah, Haskins throws a good ball, especially on crossing routes, and he’s good at reading coverage. That’s not nothing. However, I question how successful anyone can be with what the G-Men are currently trotting out for an offensive line. I didn’t watch a lot of Haskins’s play last season, but I keep reading about what a week quarterbacks class this is. That scares me. What say you, Army fans? This week’s AAF slate brings us the long awaited match-up between the Orlando Apollos and the Birmingham Iron. But the game lost a little luster last week when the Iron dropped a match-up against the San Antonio Commanders and, more importantly, proved that the Iron offense can’t keep up if their defense gives up even just a few scoring plays. I honestly don’t see how Birmingham wins this one. Their O-Line is in shambles, and worse, they’re receivers just aren’t on the same page with their quarterback. The Iron want to pound the rock, but their O-Line doesn’t open holes consistently enough against even moderately good defensive fronts, and Perez has a tendency to push the ball downfield—into double- or triple-coverage—rather than checking down to his—very talented, often wide open—running backs in the flat. Which is maddening because every time they checked down to Richardson, he gained 12+ yards. Defenses can’t cover everything, folks. Sometimes the checkdown is the right play. The other interesting game happens Sunday night—San Antonio at Arizona. The Hotshots have regressed a bit while the Commanders seem to be finding their rhythm. Despite being just 2-2, it’s starting to look like San Antonio may yet prove to be the best team in the West. That’s all we’ve got. Enjoy the weekend!